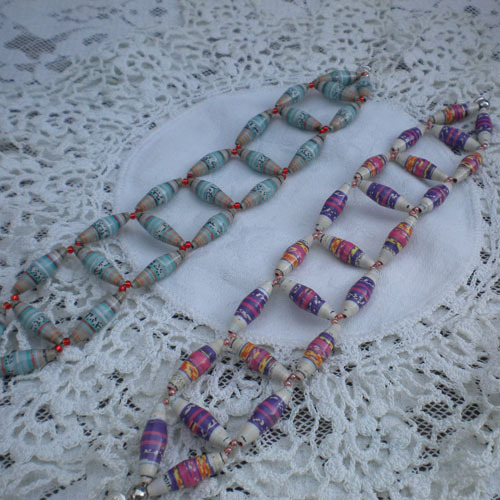 If you are new at making paper beads, the tubular shape paper bead, is a good way to start. It should be about an inch long and 1/4 inch wide. 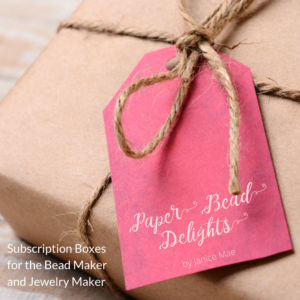 You can display more text and color because it is a bigger side bead. 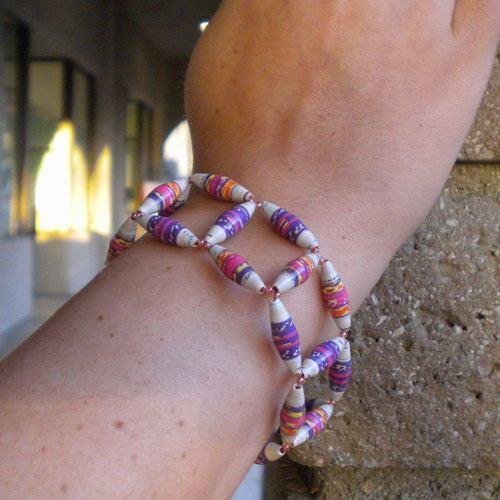 Here is another version of the ladder bracelet that Kayla C. came up with using the paper bead tube. It came out really nice and easy enough that even a beginner can do. 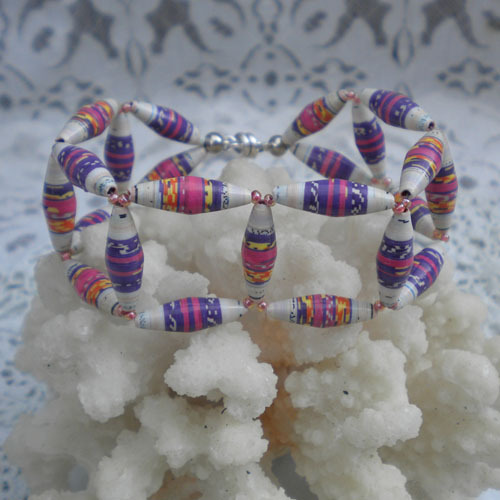 She used the one inch paper bead tube in green tone and pink tone. 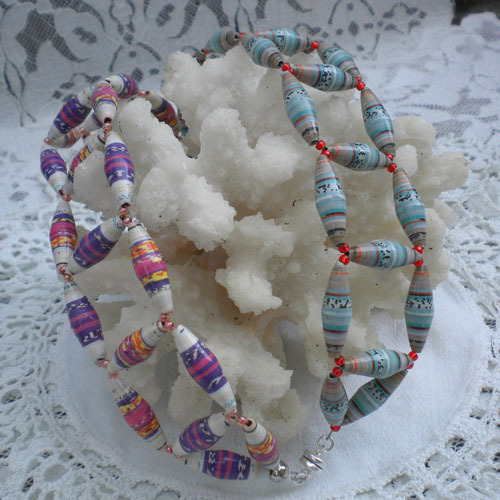 The materials are: paper bead tubes, softflex (medium), magnetic clasp and jump rings. Tools: flush cutter and chain nose pliers. 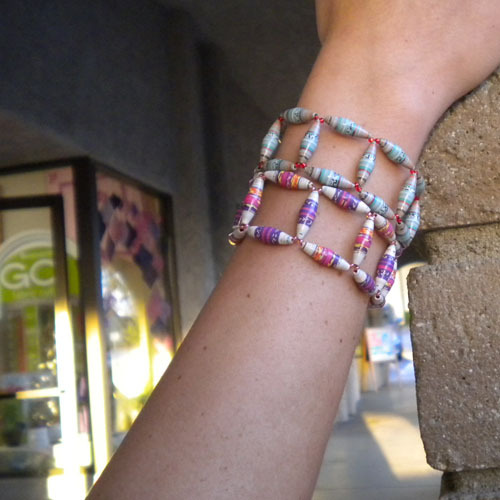 Have you ever tried to do a double ladder bracelet? I have tried a few times now and just can’t seem to get it right. 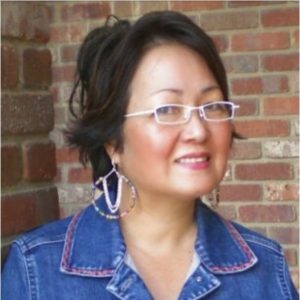 I don’t know if you take requests to make jewelry. 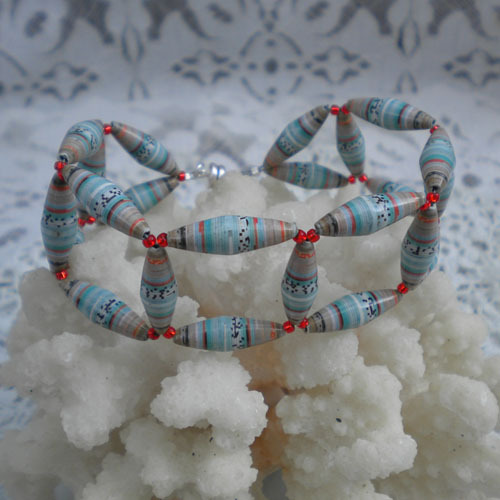 I am looking for some help and came to the Paper Bead Princess 🙂 I hope you can help me in any way possible. I think I am ready to advance from just stringing on my beads with elastic cord. I see a few different crimpers in the stores. I also see sets of 6 tools at Michaels for $10 and beside them individual crimpers for $12 to $19. What tools must I have as starters and is one brand best over others? Also what size wires should I start to collect? easy but Very Fashionable great job Kayla!